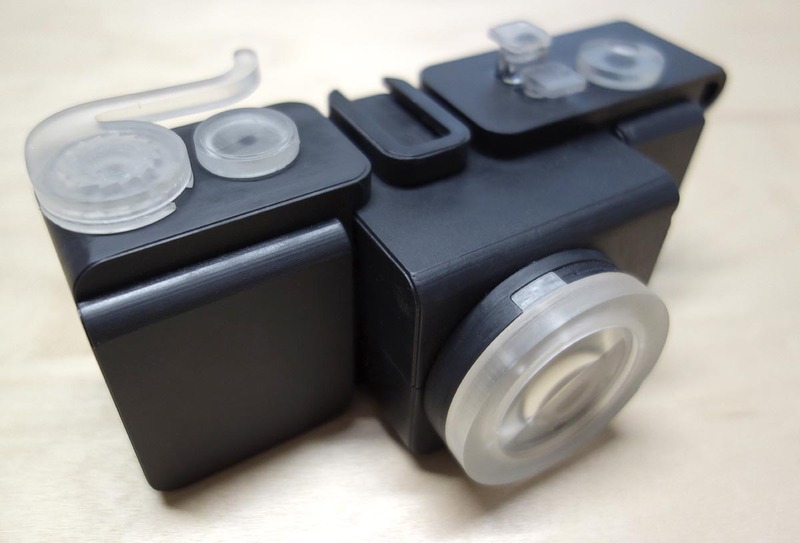 This 3D printed camera was part of the Digital Design thesis project by Amos Dudley, NJIT’2016. The project was done in collaboration with Formlabs, a company specializing in 3D printing, and utilized Formlabs’ Form 2 SLA printer. The camera is designed for traditional 35 mm film. 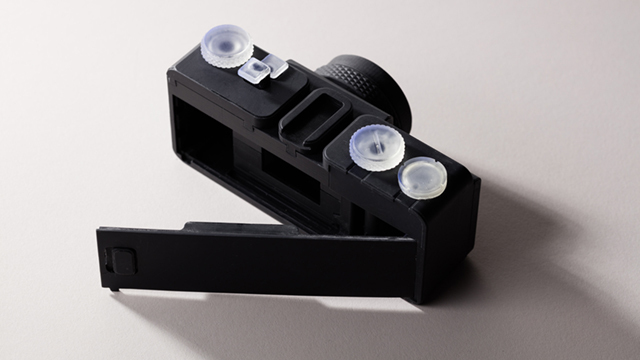 The design minimized the amount of support needed for 3D printing, particularity for printing of the lens (see below). Additional information with the further developed project can be seen on Amos’s blog and on this YouTube channel. 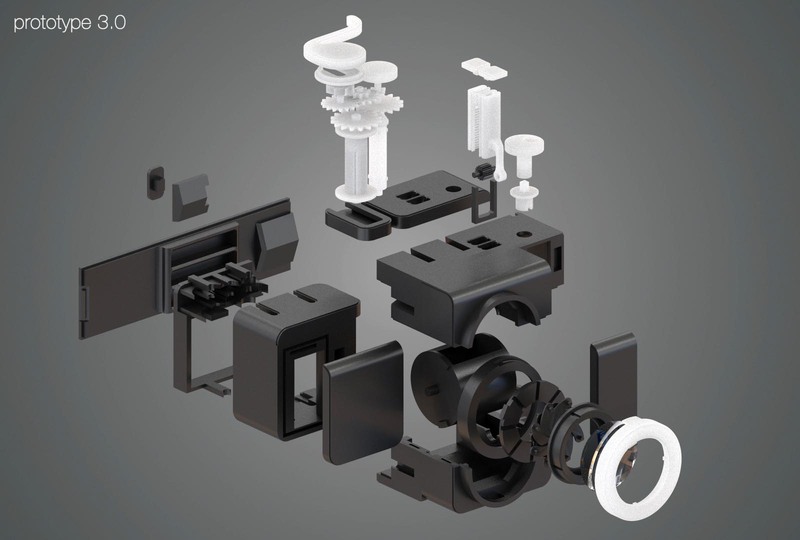 For the photos from the 3D-printed camera, follow this link. You can also download the 3D files from Pinshape if you have a Form 2 and want to make your own model. 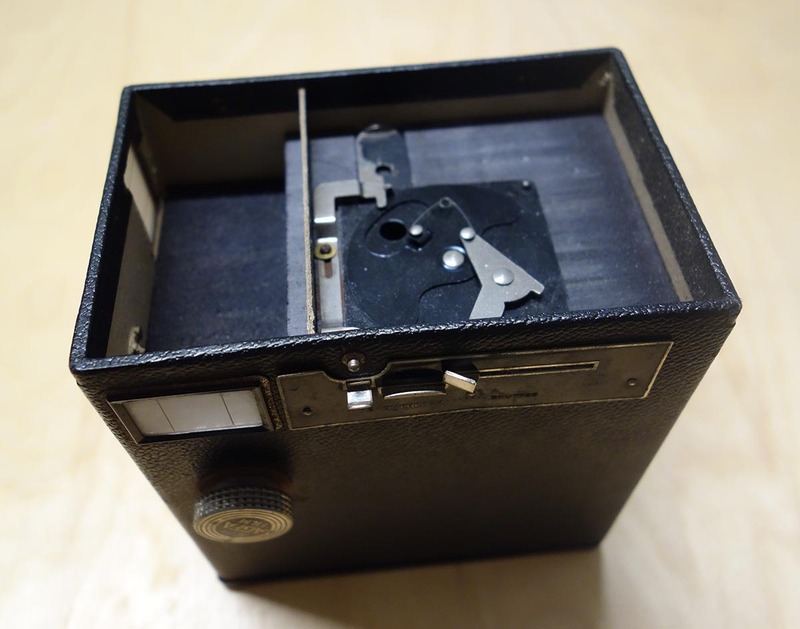 For inspiration for the shutter mechanism, Amos looked into antique cameras (photo below), which used fully mechanical shutters. An Agfa Ansco box camera was used as a precedent for the shutter design. The design was modified by connecting the mechanism to a cylinder. This allowed for increasing the lens size. Agfa Ansco box camera was used as the precedent for the 3D-printed model.